Christmas came early for a “full to capacity” crowd during the annual Shadow Hills Kids’s Christmas Party. A sumptuous “Breakfast for Dinner” meal was served, with a huge variety of kid activities, games and holiday cheer. But, as usual, the highlight of the evening was a visit from Santa Claus, and the chance for the kids to let the Jolly Old Elf know what they wanted for Christmas. Each child received a special gift along with their chance on Santa’s knee! 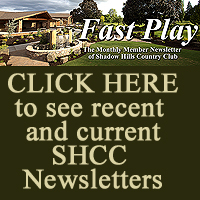 Shadow Hills CC Youth Camp and Jr PGA Team Break Records! 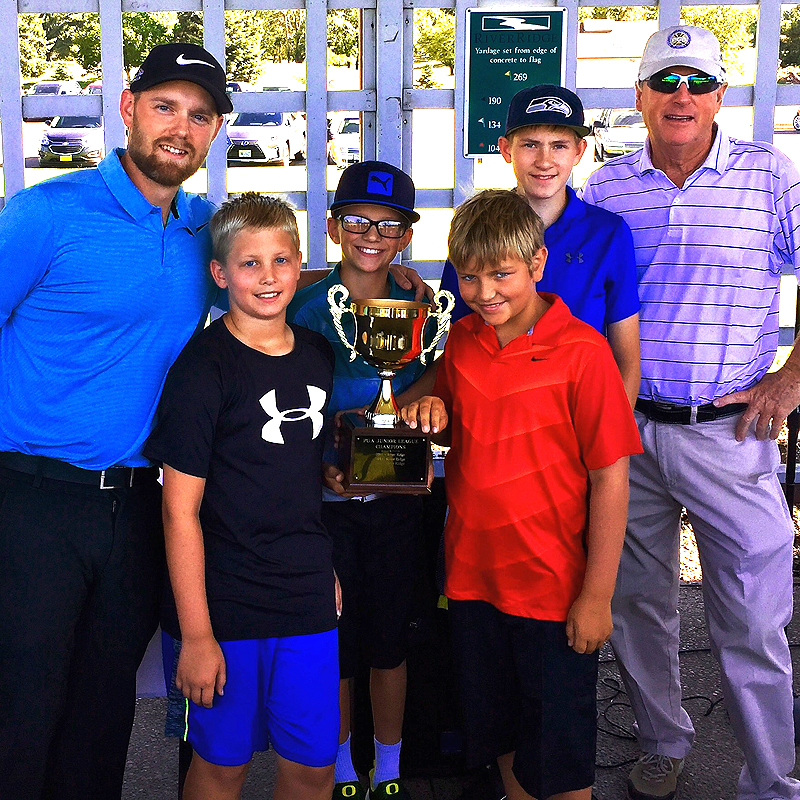 It has been another amazing year for youth golf at Shadow Hills Country Club! The SHCC Youth Camp had a record number of participants at 102 young golfers with a wide range of ages and experience. 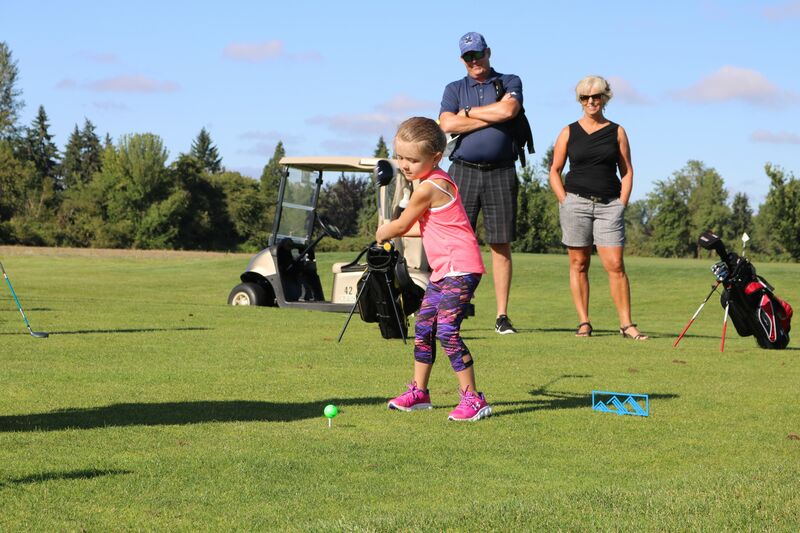 The three day camp ran from July 16th – 18th, with every player working on a variety of skills and shots, and playing a “round” on a course set up in the driving range. 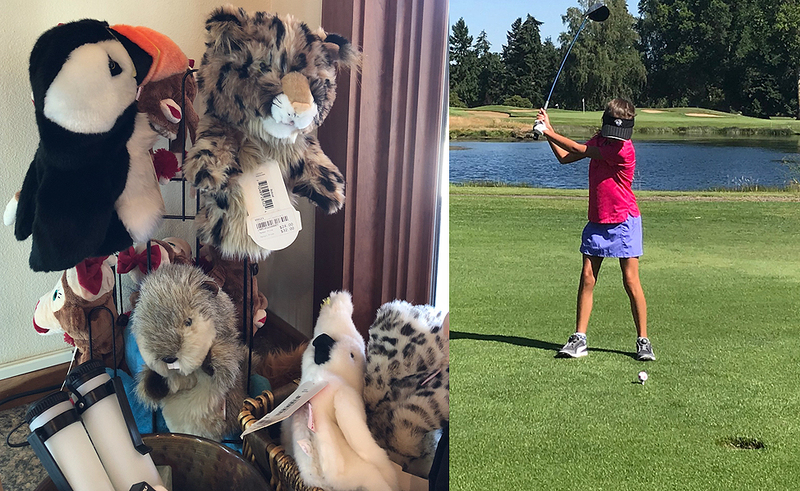 Every Participant was awarded their choice of stuffed animal head covers, and from all reports there was loads of improvement at all levels of golfers. The family atmosphere was evident, with a huge “gallery” of parents and friends gathering to watch the fun. Shadow Hills CC truly lived up to it’s motto of a “Family Resort, Just Minutes from Home,” as a whole new generation of excited golfers was launched. The final day culminated in a huge pool party (the pool combined with record heat has never been so full) that was the perfect end for intense but fun instruction, while making loads of new friends. 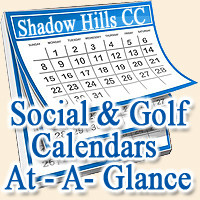 Our Shadow Hills Junior PGA Team had another undefeated year, with a record of 5-0 and the district championship crown. Coached by former PGA tour professional Pat Fitzsimons and our own assistant pro, Brandon Hepner, this amazing group of young men and young ladies showed that they have the right stuff to look forward to great competitive golf in their futures! 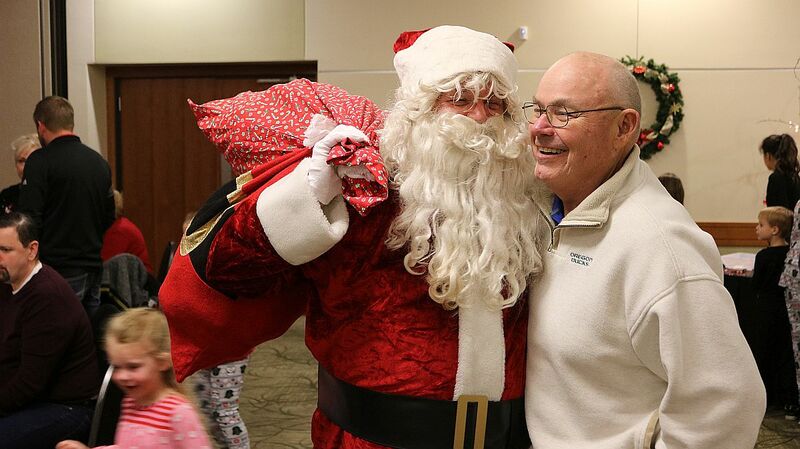 This year’s Children’s Christmas Party was a resounding success, with a record number of children and family coming out for a meal of “breakfast for dinner,” and a visit from “the Jolly Old Elf” himself! As has become a tradition, we took pics of the kids with Santa, and the smiles tells the full story! Happiness all around from kids of all ages! Here is a picture of the Rough-legged hawk that was released Oct 18. The bird had been in the care of the Raptor Center since last December with a broken leg. These hawks summer in Alaska and winter here in the valley. 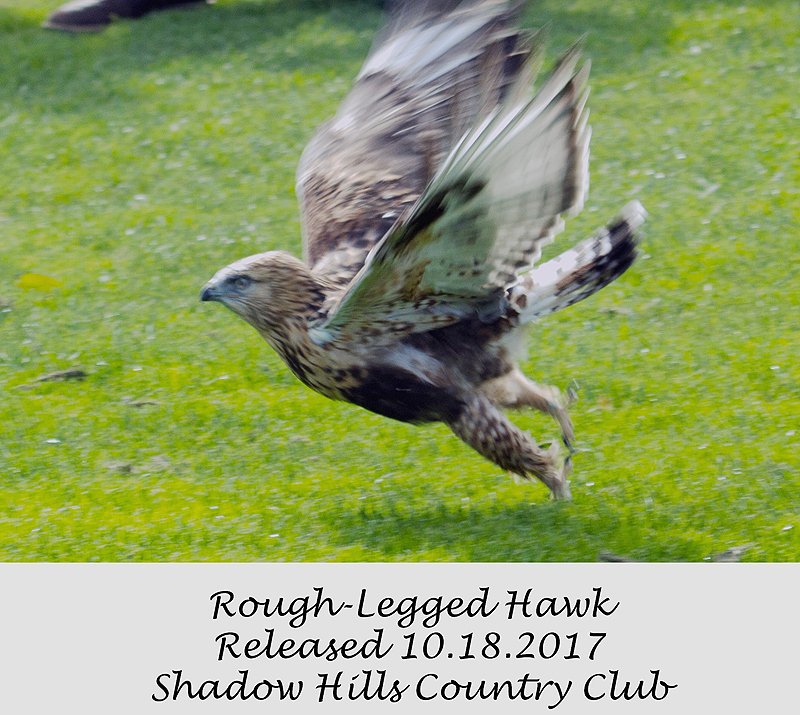 The timing of the release was both upon a fully-healed bird, as well as the fact that these birds are now appearing in the valley.While the bird was not a “native to Shadow Hills,” she is a welcome addition to birds and wildlife found here, and a testament to the trust the local Raptor Center has in our commitment. SHCC Junior Team Wins League Championship! Our Team 2 did won Greater Eugene PGA Junior League championship for 2017. Players in the picture are from left; Jayden Tate, Blake and Tyler Mikel and Max Hunter. Of course Brandon Hepner and myself are there as well. There were five other members of team 2 not pictured; Brock Nelson, Kendall Smith, Olivia Thompson, Kai Holmes and Madison Holmes. Four of our kids, Tyler Mikel, Brock Nelson, Cal Potter and Carter Schmidt were selected to the All Star team which will move to Trysting Tree on August 6th for matches against teams from central Oregon and Bandon by the Sea. A season ending banquet was held at RiverRidge on Saturday July 29th to award certificates and toast a great season! GREAT JOB TO ALL!! Our team “represented” Shadow Hills magnificently!! SHCC Youth Camp and Youth League a Huge Success! July 17th -19th, Shadow Hills was the “epicenter of the future of golf” with another huge turnout for the Youth Camp! Almost 80 of the finest future golfers turned out for the three day camp, that featured instruction, competition and loads of fun! The PGA Junior Golf League regular season came to a close Saturday July 22nd after an eight week schedule. Shadow Hills presented 31 golfers forming three teams and each team played 7 matches against Eugene CC., RiverRidge, and Laurelwood as well as each other. Shadow Hills team 2 tied for the League championship with a 6-1 won- lost record. 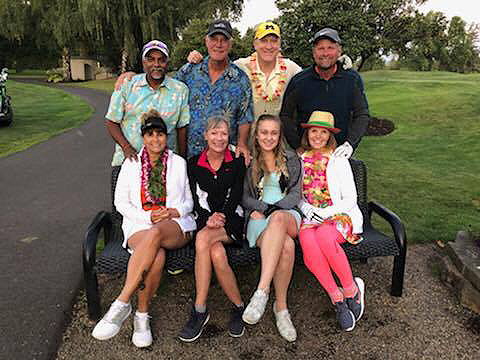 A ten player all star team now moves into regional competition on August 6th in Corvallis at Trystying Tree. Shadow Hills will field four All Stars of the team; Cal Potter from team 1, Brock Nelson and Tyler Mikel from team 2 and Carter Schmidt from team 3 were chosen to represent the Greater Eugene League. Congratulations to all our young golfers. Much improvement and maturity was gained by all. An awards barbecue will close out the regular season this Saturday July 29th at RiverRidge. As the big member tournaments begin to round off the golf season at Shadow Hills, there is time to seek a tune-up for the Men’s and Women’s Invitationals before football, fall and cooler weather prevail. It has been a very pleasant experience in the company of a truly great staff at this fine country club and I thank all for making it so! CLICK MORE to see pics from youth camp!